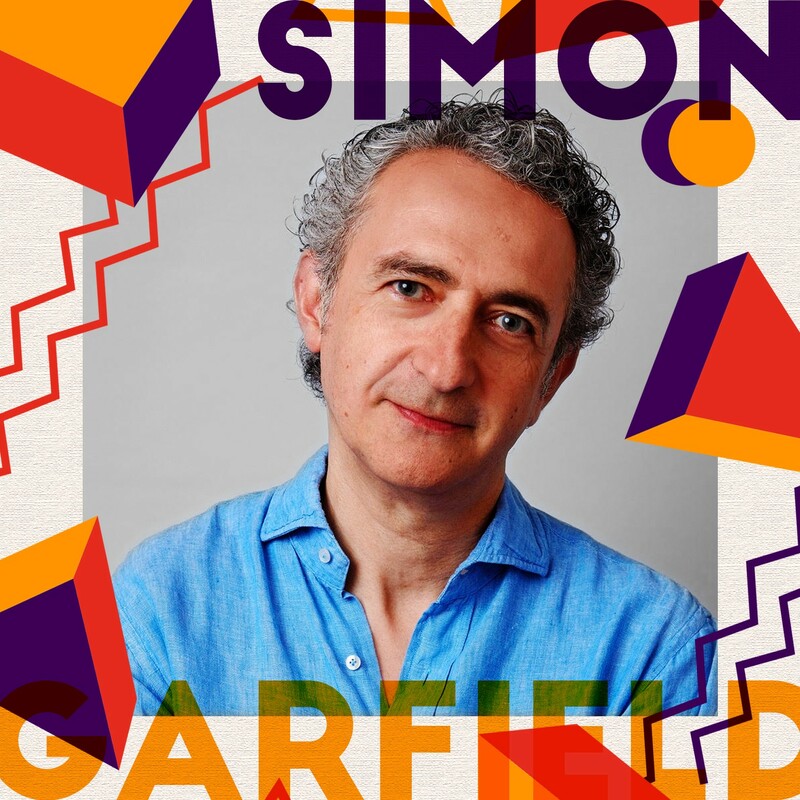 Prior to his TEDxWarwick talk on the value of miniaturisation in design, the TEDxWarwick Blog got a chance to ask Simon Garfield a few questions. Simon Garfield’s talk can be found here. Interviewer: You’ve published several non-fiction books, the latest which is on the same subject (miniaturisation) as your talk if I understand correctly. How did you make the transition and why? The first book I wrote was about the music industry, about how everyone from the Beatles onwards ended up in court suing their record company, or their manager, or whoever it was. Then I wrote a book about the history of AIDS in Britain and lots of different diverse things. All my books are very journalistic in essence, and they are sort of extended journalism, but extended to the point where as hopefully you feel that you’re getting the story right at the end and you’re getting a very full version of the story as well. I: So how did you get on to the topic of miniaturisation? Is it just something that came to you one day? SG: Pretty much. Actually what happened was I had a crazy idea. I’m now middle aged and it’s that classic thing that people find, their kids are grown up and they want to rediscover hobbies again; maybe hobbies they had when they were a kid that they had to abandon when real life took over. I had this crazy idea of writing a book and it didn’t happen and I don’t mind saying this: if anyone wants to take this on they’re very very welcome, of getting 4 middle aged people (who would invariably be men) to build a model railway over the course of the year, but would be a little bit about the model railway but more about their lives, so you get four or 5 men talking about their lives in quite a rigid setting of meeting up maybe twice a week to build this model railway. And It would be fun story. And then my editor said ‘that’s too obscure even for you, Simon’ so then I thought ok how about miniatures in general? So, the model railway is very interesting because it gives us a sense of control, it gives us a sense that we will never (well, it’s very unlikely) run a national railway, but we can all be railway modellers and say the train has to pull up at the station and this particular point and we can build a brilliant diorama of the landscape. So I thought well that’s interesting, where else do we have examples of miniature worlds and what do they tell us about the real world? Why are they useful? Is it about control? Is it about seeing things in a more detailed way? Is it someone thought that the people who build model villages thought about frustration with the real world and so want to make it perfect it with the model world, and then it took off from there, so the book covers all these topics, but then looks at mad, mad super micro miniaturists who put models and little figures inside the eye of a needle. So, it’d be snow white and the 7 dwarfs or their interpretation of the last supper with Jesus in the middle and then all his disciples on the side of the table; extraordinary stuff you can only really see with a microscope so it ends up there. But on the way you discover things like the design of little tiny acid, LSD tabs that people look in the 1960s — less than a cm2, so I looked at that miniaturisation of design, I look at the flea circus, I look at how miniaturisation began, which was essentially with miniature books in the 16th century and then miniature portraits not long afterwards. So it’s a whole consideration of scale, small things and the value of having something small. I: Speaking of the value of miniaturisation, what do you think are the main lessons we can draw from miniaturising things? SG: I think you can learn a lot depending on what you’re lurking at, so if you’re talking about the artistic element of it you’re looking at incredibly skilled book binding or incredibly skilled portrait painting if it’s 3 inches tall. So, you’re looking at very very high levels of patience, high levels of concentration — but the key thing is high levels of seeing and high levels of observation in terms of seeing things you might not normally notice. So, my example is, if you’re building a model railway, for instance, you would design and look at a signal box on the side of a track with far more detail than you would if you were not even going by fast on the train, you wouldn’t really give it a second thought. ‘Oh there’s a building and there’s a person inside pulling levers to lift up the signals on the track.’ But, the more you bring it down to scale, the more you think ‘okay so what actually are the key elements here?’ So you’re looking at the key elements. It’s a way that if you asked me the value of it and what you learned, if you are an architect you build initially at model size. If you are a set designer for a play, it’s the same kind of thing. It shows how it works on the whole and it also gives us a sense of seeing the whole thing at once. So, you know, we see a beautiful church, but you only see it from one side because its huge and you’re seeing the whole facade. Only when you see the model can you see the proportions. It’s a sort of god-like feeling in a way. I: What I find interesting about that, you mention in your talk Bekonscot. That seems to me to be somewhat different from some of the examples you’ve given now because surely it’s a 1:12 ratio so the detail involved, do you feel it’s the same or maybe less for instance from the drawing head of a pin? So it’s not as detailed and surely it doesn’t help as much? SG: No, I disagree. I think the micro miniaturists who do work on the head of a pin and inside the eye of a needle — they are very much concerned with the smallest you can possibly, possibly. possibly get. And you look at it through a microscope and it’s ‘hey wow’. With a model village like Bekonscot, you walk around and you see all of the stuff happening at once. It’s more than a village, its all this action. There’s a cricket match going on, there’s a bloke just about to catch a ball. You see a fire in a thatch cottage, you see an argument outside a pub. You see all this stuff and you think ‘oh yeah oh yeah oh yeah oh yeah’ and you see all this stuff and you’re going round and it’s great obviously for kids as well. And if you’re a bit older, you think ‘okay well how do the shops relate to the church?’ This is set in the 1930s, so there’s a lot more pubs — old traditional pubs for instance. There’s no wifi hubs anywhere or cool cafes in that sense. You see how things have changed, you get a sense of history, you get a sense of place very much. You feel very, very big in that world so you think ‘well how significant am I in this world?’ And then you notice terrible puns on the shop fronts all like you know the bookshops talking about the talkers. It’s called Ann Ecdote. The butchers is run by two people called Sam n’ Ella. You know, the green grocer goes by Chris P Lettuce, terrible things to shame as you go by, and it’s a good day out and it’s just a fun thing. I: I looked up pictures and I’d want to go. SG: Yeah, but these things exist all over the world and Bekonscot is a model for model villages all over, and model worlds are coming up all over now. Latest one that’s opened up is in New York called Gulliver’s Gate which is very sanitized, very commercial, very clean thing. But it’s all over the world, so you get skyscrapers from Hong Kong, there’s a great wall of china, there’s Big Ben. It’s all a bit mad because its all within throwing distance of each other, but it’s great. And also, the train runs through and there’s accidents. There’s roads and there’s accidents on the roads and then the ambulance rushes in and it’s just — the nice thing about it — for me the appeal and the entertainment value is that someone has bothered to make this with their hands. They might originally be computer generated but then they are made out of plastic of whatever it is. I: How do you see- other than the model villages- how do you see the power of the miniature being harnessed in the modern world as opposed to 10,15 or 20 years ago. SG: Well, you know, I think in terms of design, a lot more is now done on computers. But there’s nothing like if you are building a huge new important skyscraper in the middle of London or Hong Kong, the ability to see it in 3 dimensions as a model is still invaluable — you can model it, you can twist it round, you can have 3D images on the computer. There’s something about the tactile element, about seeing it with your own eyes that isn’t on a screen that I think is hugely valuable. And I think on a personal level, I mean not talking about myself as a personal level, but I know a lot of people feel that making something in miniature allows you to shut out the world a little bit. It is a hobby still, so if you’re building a dolls’ house or miniature food — you know you see those YouTube videos of people making tiny spaghetti bolognese with little spatulas and tiny strands of spaghetti that’s cut up with a knife. You know, all that stuff and actually, an extraordinary thing. You just think ‘oh my gosh’ but again it makes you think ‘okay, so what are the ingredients here? What were the ingredients for that meal? What makes that railway special? How do I drink my own imagination to it?’ So, it’s all those elements. I think the maker’s element of it is very important as well. I think one of the things that I’ve noticed with my own life, and god, I’m a lot older than you, it’s that if you’re not careful you can spend your whole life online in one form or another: on your phone, on your tablet, on your Mac, and the idea of banishing all of that for a bit is a pleasurable thing and has great value. I: So you almost see it as perhaps not an all encompassing solution, but certainly a personal solution for the demons of today? SG: I think so, yes. It’s not a million miles from those adult colouring books, or jigsaw puzzles, or any of that stuff. You kind of think, okay, it’s a sort of meditative process as well because not only do you shut out the outside world, but you concentrate and you make the world as good as you possibly can. You make the world perfect again, so it rights a lot of wrongs. Keep an eye on this space as more interviews with our fantastic speakers will be up soon. Thanks for reading!